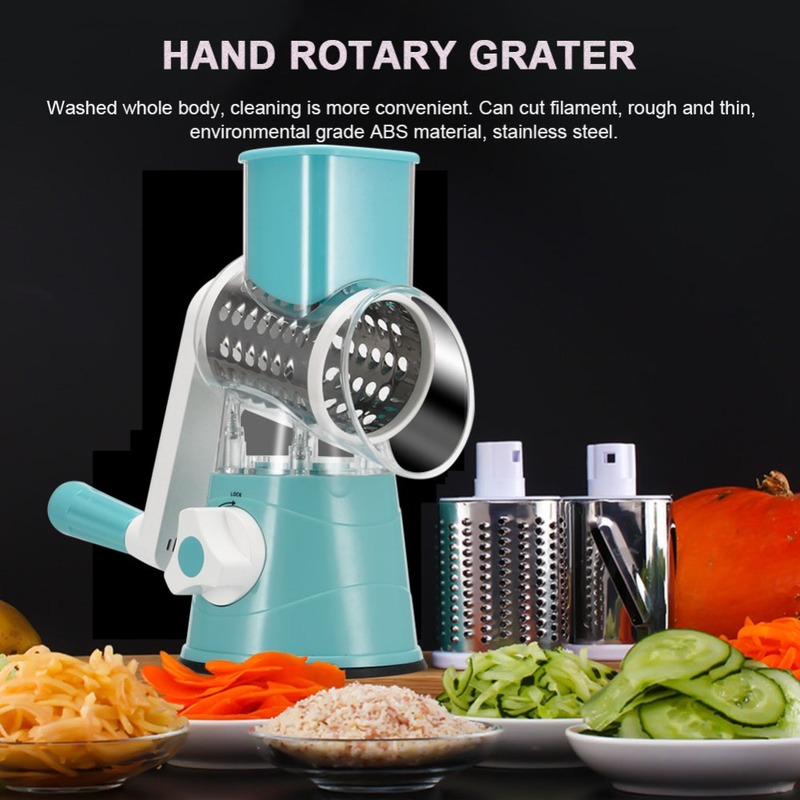 Innovative roller design, cutting vegetables does not hurt the hand. 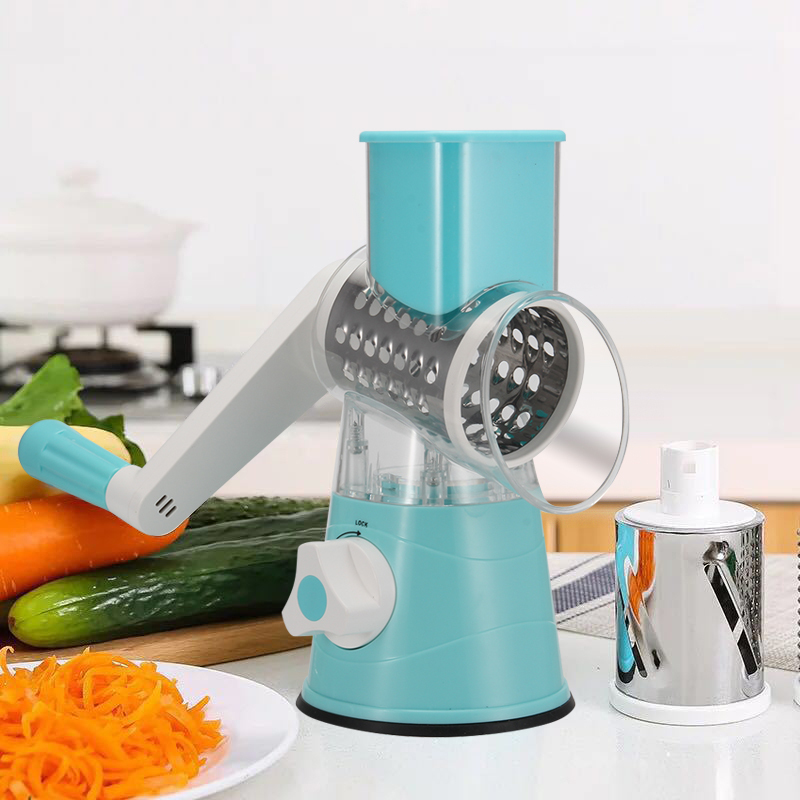 Waterproof body, easy to clean. There are three different rollers that can cut filaments, thick filaments and sheets. silica gel sucker,more steady, push unlock disign, simple and safe. 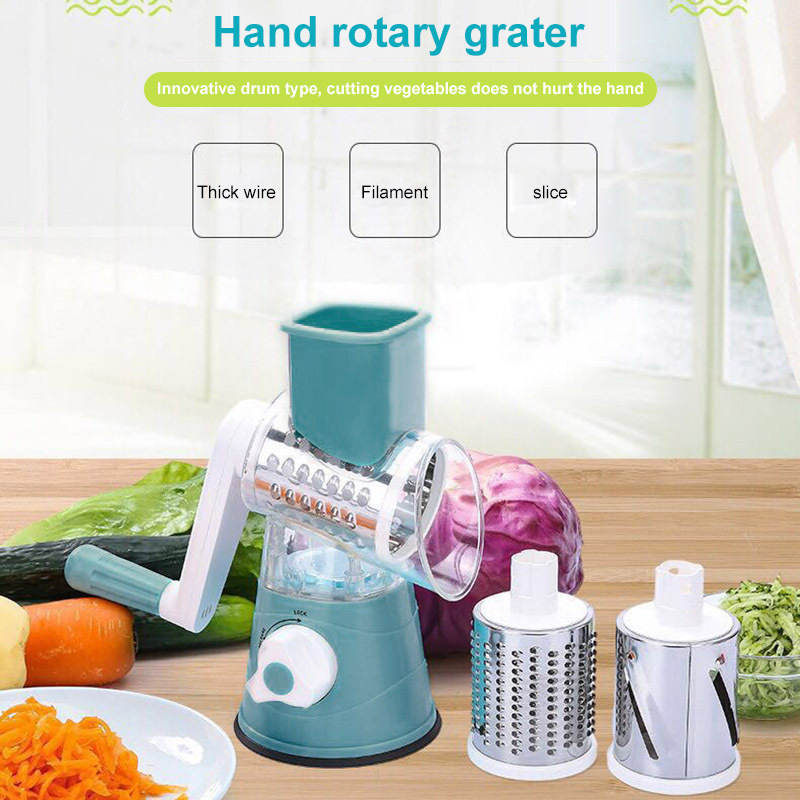 Widely used to all kiinds of vegetables,ucumber, peanuts, lettuce, carrots, potatoes, etc. Note:Due to the limited size of the inlet, large pieces of ingredients need to be cut after half.